Patagonia makes the Tezzeron Jacket for finding inspiration in places like the Cape Clear coastline, where thick morning mist gives way to a cooling afternoon offshore wind. Soft and lightweight, it blocks wind and moisture as the clouds roll in and stuffs into its own pocket when the sun prevails. 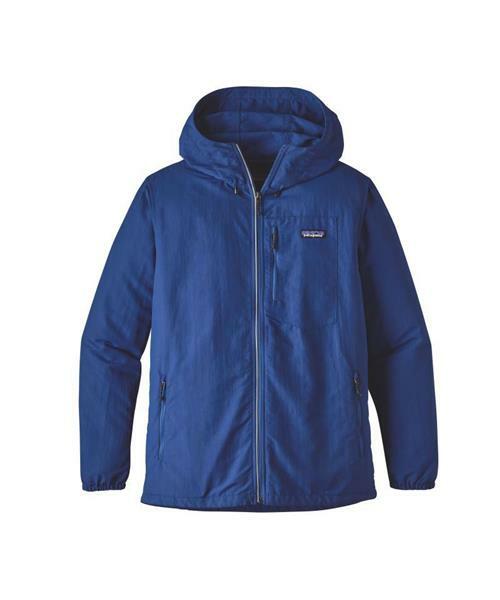 Made of durable nylon fabric (38% recycled) with a DWR (durable water repellent) finish, it provides 50+ UPF sun protection and features a full-length, center-front zipper, cinchable hood and reflective detailing on the zipper pull and back shoulder yoke. Two side-entry pockets hold your belongings; the right pocket converts to a stuffsack. The left chest pocket accommodates headphone cables. Hip length. Fabric is certified as bluesign® approved.